It’s that time of year when I begin to look at how things went over the past year and brainstorm goals for the next year. The honest truth is that my year went nothing how I expected it to go! It’s a long story that I’ll share when I have more time (probably this summer), but it felt like my word for the year was survival…and that’s still where I am. Though some may believe survival is not a great place to be, I’m embracing it. I’ve learned over the past 40 years that there are seasons–seasons of growth, seasons of change, seasons of stagnation, and seasons when surviving is the best you can do. With that said, I am happy to report that I made some progress on my 2017 goals. I’ll share updates on those at the end of the post, but here are my new goals for 2018! 1) Read my Bible, journal, and pray every morning. This is still a habit I’m still working on. I plan to go through my Write Through Scripture journal again and read through the Gospels. Not sure yet what I’ll do after that, but I’ll probably follow along with whatever studies we are doing at church. 2) Continue socking away as much as we can in retirement accounts. I’ve started reading some financial independence/early retirement blogs, and it has really opened my eyes to investing and continuing to be as frugal as we can. I’ve started tracking our net worth (and using the retirement planner) at Personal Capital and it’s very motivating for me to see that number go up. I always feel pulled in several directions, because I view all money as God’s money…and I’m just the steward of it, and I don’t want to be like the man building bigger and bigger barns only to die without the money being used for kingdom purposes. At the same time, we are to be wise…and having financial resources to take care of our families (and others) in our old age seems to be prudent. It’s probably mostly a mindset and heart issue more than anything, so I plan to re-read the Bible and Money, Possessions, and Eternity to remind myself of what truly matters when it comes to money! Anyway, we have several IRAs and a 403b account, so my goal is to fully fund them. I have automatic withdrawals set up to make this easier. 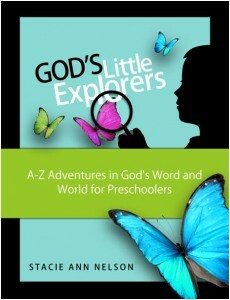 3) Continue to donate all proceeds from God’s Little Explorers to the orphanage we are supporting. In the past four-and-a-half years, we’ve been able to raise over $80,000 with your help! The project is currently halted due to lack of funds, so we will continue to donate 100% of the proceeds to that project in hopes they can finish the building. I’ve previously completed two rounds of Metabolic Prime and love it! The same company released Metabolic Renewal in 2017, and I’ve started it several times…but haven’t made it past week 3. My goal is to do one round of Metabolic Renewal followed by one round of Metabolic Prime. Then, we’ll see how I’m feeling and if I want to attempt any running this year! 5) Average 10,000 steps per day. I keep setting this goal for myself…and I keep working at it. I’ll be tracking my daily step count with my Fitbit, and I plan to increase my yearly average from 2017. 6) Go on at least two date nights per month. I’m keeping this goal from last year, and it’s still super important to me because there have been even more marriages falling apart around us. We want to keep communication open and prioritize our relationship, and date nights are a big part of that for us. 7) Go on a special anniversary celebration. We will celebrate 18 years of marriage in June, and I’d like to do something special for that…a cruise is what I’m hoping. I’m saving up! With the year we’ve had, our read aloud time is one area that has suffered. Books have always played a huge part in our family life. The girls are still reading a ton, but we just haven’t done as much reading aloud as I like. I miss those times and plan to make this a priority. 9) Set up a weekly calendar review. I used to do this regularly to keep me on track with fitness, finances, meal planning, etc. I am committing to reviewing my calendar each week on either Friday or Saturday and planning for the week ahead. Blogging has been on the backburner this year, and I’m just doing enough to get by. I’d like to add more quality content and really have the site be a helpful resource. That will take more time than what I am able to put in now, so I plan to start working toward achieving this goal in June. This is a habit I’m still working on. It’s been hit or miss…especially the past three months. Since I spend 30 minutes in the car most mornings now, I plan to use that time to listen to the Word. I got an audiobook Bible version when I had my free Audible trial. **Still working on this….will be added to my 2018 goals! 2) Pay off our home mortgage as quickly as possible. Several years ago, we took a Crown Financial study through our church. Both my husband and I really felt led to get our mortgage paid off as quickly as possible. We paid off our first house last year, and then we decided to sell it and move into a foreclosure we found a good deal on. We owe just a little bit, and it should be paid off by August if everything continues as planned. **Finished!! Our mortgage was paid off in August 2017. It was a day of celebration! 3) Replace our 14-year-old Buick Rendevous. We still have our old car, and it hit 200,000 miles this year. We’ve started seriously looking, but we want to save up just a bit more in case we find a nice used Honda Odyssey. They cost more than we were planning to spend, but our mechanic and several other friends swear by them. Since we have a tendency to drive our cars for a long time, it seems like a good choice. We’ll see what we find, I guess. **Finished! We ended up not purchasing a van. Last February, we found a new-to-us 2010 GMC Acadia that fit our price range and we were able to purchase it in cash. 4) Continue to donate all proceeds from God’s Little Explorers to the orphanage we are supporting. In the past three-and-a-half years, we’ve been able to raise over $70,000 with your help! They still need some finances for the building and furnishings, so we continue to donate 100% of the proceeds to that project. **Finished! We’ve been able to make several donations this year. They are still lacking funds to finish the project, so we will continue donating all proceeds in 2018. If there is one thing I wish I would’ve known in my early twenties, it would’ve been about the power of compound interest. Unfortunately, we didn’t open up our IRAs until later in our 20’s, so we missed out on a little bit of that…but we’ve been putting in money here and there. This year I want to contribute the max limit for my Roth IRA, so I finally automated it (which I should’ve done years ago). Maybe one of you can learn from my failings!! **Finished! We were able to continue with the automatic withdrawals all year, so this is fully funded. **Finished Metabolic Prime…but I didn’t run a marathon. I’m too tired for that right now! 7) Average 10,000 steps per day. I’ve really slacked on this over three months. Before all of our illnesses, I was averaging about 8000 steps per day. After the last three months, it’s down to 6000! Anyway, I have a Fitbit that I love and got as a birthday present several years ago, and I will use that to keep track of my steps. The first few days of the year have gone well…. **Failed. My average was 5114 for the year. 8) At least two date nights per month. This is super important to me because there have been so many marriages falling apart around us. We want to keep communication open and prioritize our relationship, and date nights are a big part of that for us. *Finished! The girls are able to stay at home now, so this was much easier to accomplish. 9) Go on two overnight getaways together. We celebrated 16 years of marriage last June, and we had hoped to go on a cruise to celebrate…but due to some budget constraints, that still hasn’t happened. Instead we are taking a short trip or two while continue to save up (after the car is replaced and the house is paid off)! I already have the weekend trips planned, so they should actually happen this year! **Finished! We went to a basketball game (weekend) and also a marriage conference getaway in Branson. I’m trying to read aloud more, play more games, and have focused “talk time” at dinner with the girls. This year marks a transition for us as our oldest daughter has been attending a private school since last January. I’m currently homeschooling the younger two, so we get lots of time together…but I have to be more intentional about carving out time with the middle schooler. Our drive time to school has turned into a pretty good bonding time, but I’m also trying to squeeze in time to make memories and have fun together, too. Since she has Fridays off, my goal is to make those days quality time days! **Finished! I think there is always room for improvement, but we did spend more quality time together. We moved in over a year and a half ago, but it still feels really unsettled. My goal for the year is to declutter, simplify (again), and decorate. I plan to tackle according to categories (like in The Life Changing Magic of Tidying Up). **Still working on this. Things got really *unsimple* because of a choice I made about re-entering the workforce. Let’s just say it’s been a challenging six months. We’ll be reevaluating and making some changes in 2018, so simplifying will be back on my list of goals! **Still working on this. Mostly I haven’t been blogging much except to share some deals, but I’d love to share more kid stuff, money stuff, and life stuff. It will probably have to wait until June though! Do you have any goals for the new year? Feel free to share! I love to hear other people’s goals! I love these! I never thought about a gardening club. I hope you are able to get it started.